Soundmachines is an interesting instrument for translating and performing electronic music. 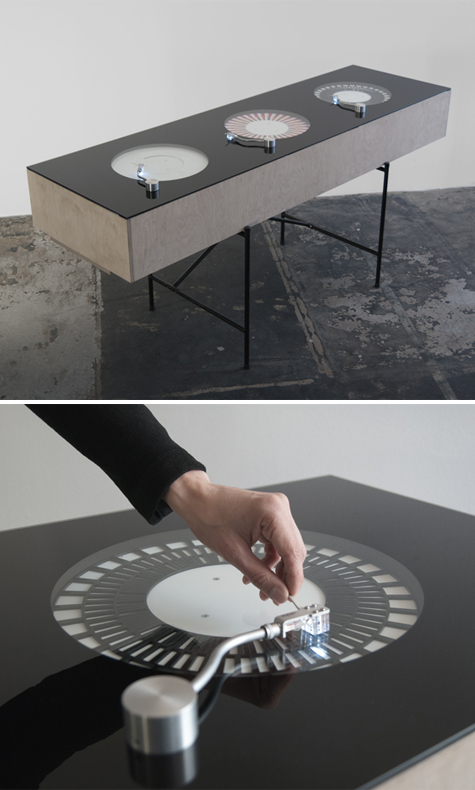 It consists of three units resembling standard record players, which translate concentric visual patterns into control signals for further processing in any music software. The rotation of the discs, each holding three tracks, can be synced to a sequencer. Designed by The Product.